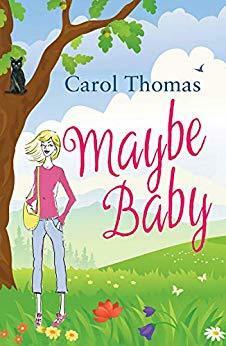 Sign into Goodreads to see if any of your friends have read Maybe Baby. Zany and funny are always fun, Julie! Wonderful review! Jennifer ~ TarHeelReader wrote: "Zany and funny are always fun, Julie! Wonderful review!" KAS wrote: "This title and cover are irresistible ;) Glad you really enjoyed, Julie!! Super review!! 🌺🌷🌼"
Nicola wrote: "Terrific review Julie! It’s great to mix things up with a fun read! Lovely to see how much you enjoyed it! 💕❤️"
Fantastic review, Julie! Glad you had fun reading this! Meredith wrote: "Fantastic review, Julie! Glad you had fun reading this!" Paula wrote: "Charming review, Julie!" Kat wrote: "Awesome review Julie!😉💖"
*TUDOR^QUEEN* wrote: "Lovely review, Julie! I marvel at the diversity of books you read :-)"
I need to read some fun ones once in a while! Angela M wrote: "I need to read some fun ones once in a while!" Mary Beth *Traveling Sister* wrote: "Lovely review, Julie! 💛🌻💛"
We all need more feel-good in our lives 😊 Great review Julie!